Olayinka Alexander Ms. Alexander is Of Counsel to Brown Gaines, LLC. She supports the firm and its clients in the areas of Corporate Governance and Compliance, Employment, Immigration, Contract (Commercial and Public) Litigation and Estates and Family Law matters. Ms. Alexander has served clients in the Washington Metropolitan area since 1998. She has provided litigation support in Corporate, Commercial and Family Law for a number of firms and companies in the area. Ms. Alexander has provided freelance case management and litigation support services, including, but not limited to, supervising large scale document production projects for Davis Polk & Wardwell in New York and Venable Baetjer and Howard LLP in Virginia. Ms. Alexander is experienced in supporting complex litigation matters and class actions. 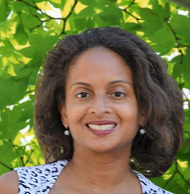 Ms. Alexander received her Bachelor of Arts in Political Science from Syracuse University in 1995, and her Juris Doctor from American University¹s Washington College of Law in 1998. She is a member of the New York State and District of Columbia Bars. She resides in the Washington, D.C. Suburbs with her husband and three daughters.